Shamanic practice seeks healing and wisdom from realms that overlap the everyday world. The use of plant and animal medicines, vision quests, trance work, and ceremonies to heal one's self and others are the foundations of shamanism. So too, Wicca and witchcraft use the magic and medicine of plants, animals, and other realms. By learning to incorporate the practices of shamanism, the witch can enhance his or her natural abilities as healer and creator of positive change. 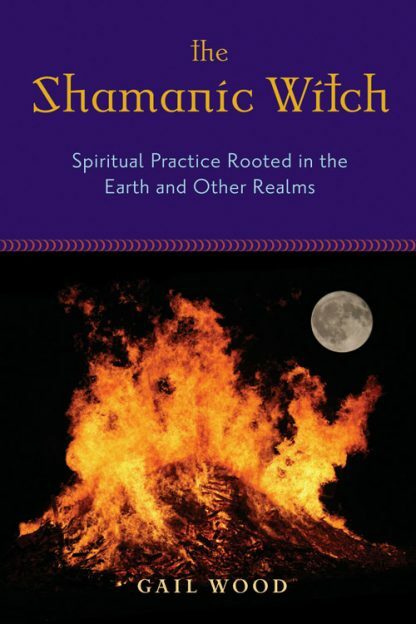 The Shamanic Witch outlines the many similarities between the art of shamanism and the craft of the Witch and explores how the overlapping of these two traditions can be used to enhance one's practice. Where witchcraft brings the belief and religion, Shamanism brings the skills. Sections include: Understanding the World of the shaman, Creatures and Spirits of Other Realms, Developing a Shamanic Practice, The Toolkit of the Shamanic Practitioner, The Realms of the Witch, and Melding Worlds: Becoming the Witch-Shaman. As Witches, we have an advantage when learning shamanism. The training in meditation and the movement of energy in ritual and spell work, give the Witch knowledge of how the energy of the Universe works. The Witch already sees herself as the tool through which energy flows and is directed. In addition, the Witch usually has an understanding of one or more divination techniques and is accustomed to the idea that wisdom comes from a variety of places from within and outside of the self. Gail Wood, a witch and Wiccan priestess who has been practicing a shamanic path celebrating the Dark Moon for more than twenty years, has written for numerous articles in a variety of Pagan publications, and is the author of Dark Moon: Thirteen Lunar Rites for Magical Path. Read her blog at www.rowdygoddess.blogspot.com.